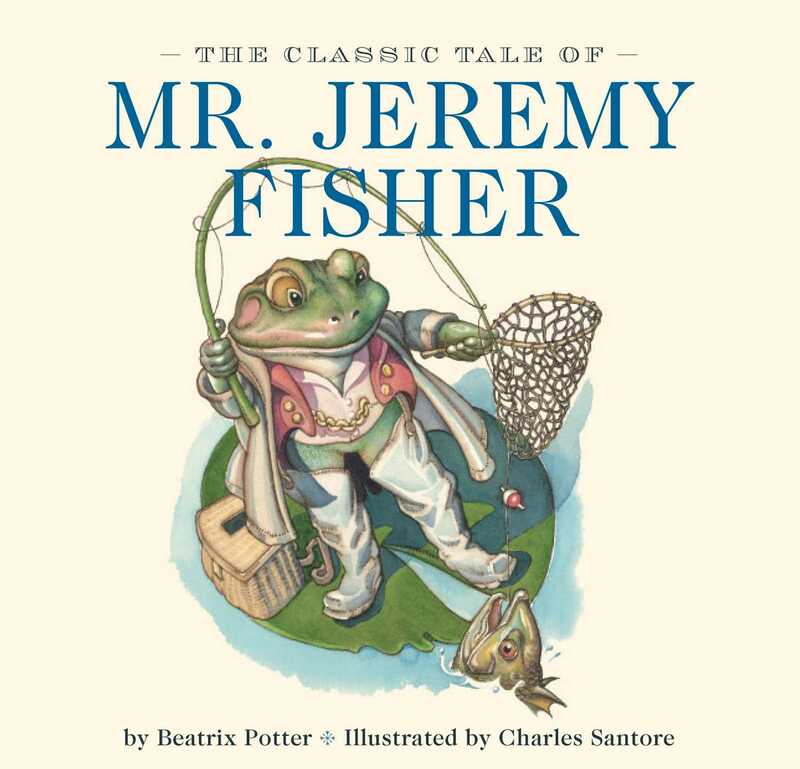 The beloved classic tale of Mr. Jeremy Fisher the Frog is now available in board book format featuring original artwork from New York Times bestselling illustrator Charles Santore. Join Mr. Jeremy Fisher as he puts on his shiny galoshes one rainy day and hops aboard his water lily boat to fish for minnows—only to discover that the pond can be a dangerous place for a frog! Incredible illustrations with the finest details from New York Times bestselling artist Charles Santore capture the spirit of this classic tale, printed on sturdy board stock that will withstand years and generations of repeated reading and handling. This edition is a must-have for every child’s library.